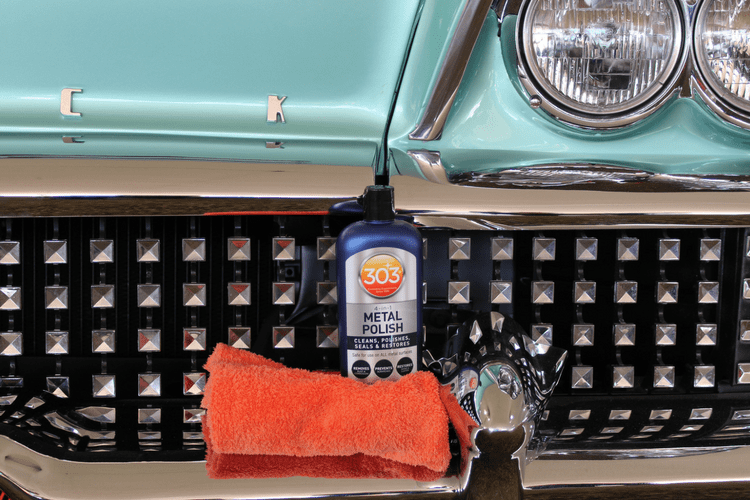 303® 4-in-1 Metal Polish is an easy to use, non-toxic polish that not only cleans/restores your metals but also protects them. 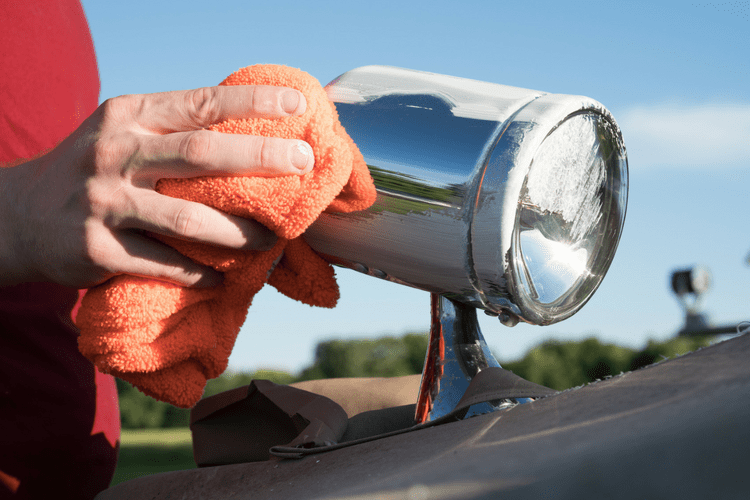 It will remove rust & corrosion, and bring your shine back to make it look brand new. 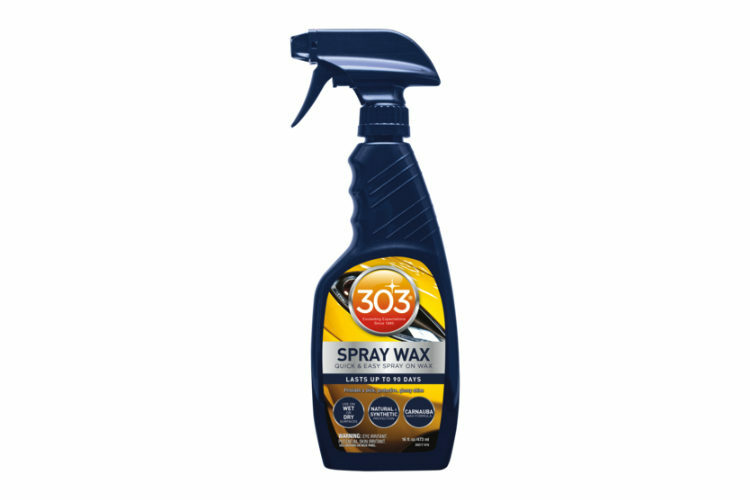 It also leaves behind a protective layer to help prevent future scratches and blemishes. 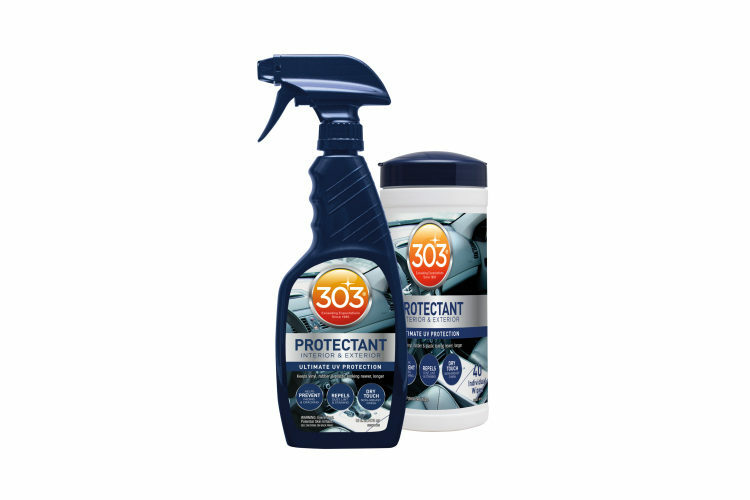 This product is safe for use on ANY metal, including: chrome, stainless steel, diamond plate, silver, gold, copper, brass, nickel, Aluminum, magnesium, and more! Shake product well before use. 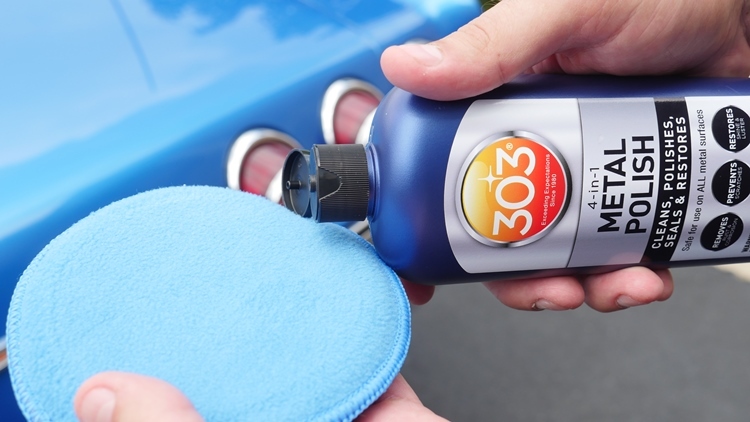 Apply small amount to a microfiber towel, applicator or brush, and work into surface. 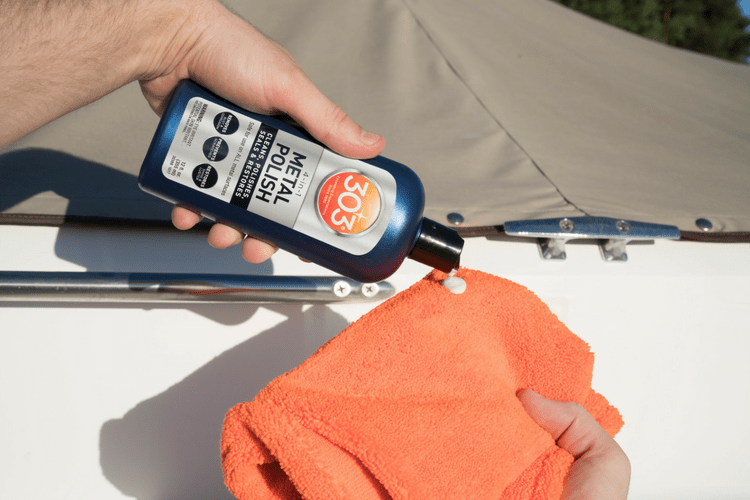 Let dry to a light haze (1-2 minutes), then buff product off with a separate, clean towel. Re-apply as needed. 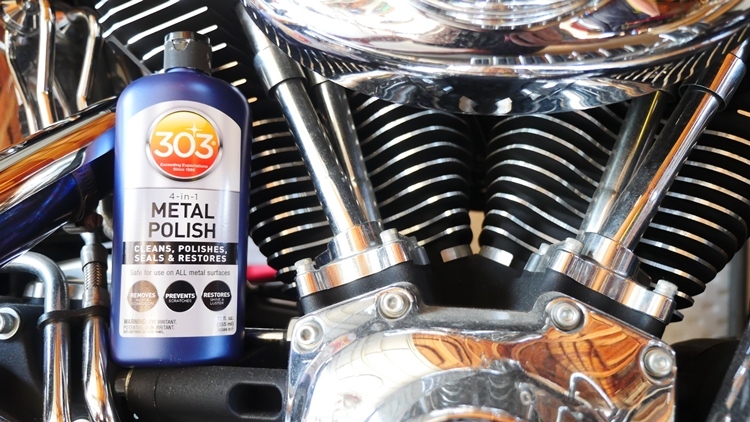 303® Metal Polish is rated 5.0 out of 5 by 11. Rated 5 out of 5 by SanchRanch from Another Excellent Product I received this from Gold Eagle as a free sample to try, then give my honest opinion of the product after use. It finally warmed up enough here in Michigan last weekend for me to try it for the first time. It went on easy and came off easy, leaving my Chevrolet OEM wheels looking very good again. The winter salt/sand and road conditions are hard on vehicles here. 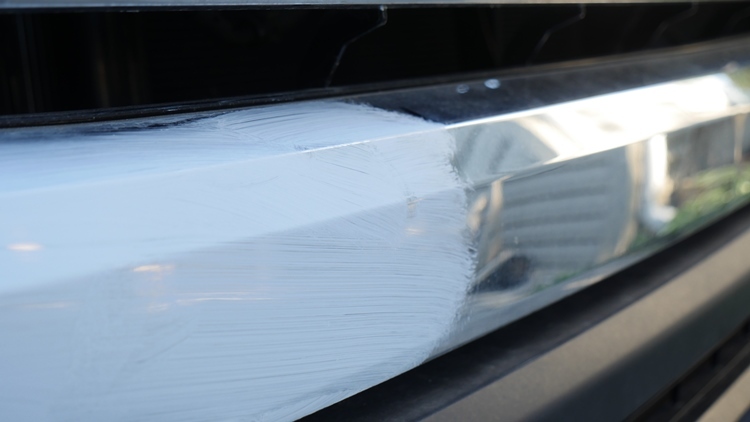 The product cannot make the wheels look new again because of all the years of oxidation and corrosion, but no product can. It worked very well for my needs and I plan to buy more in the future. 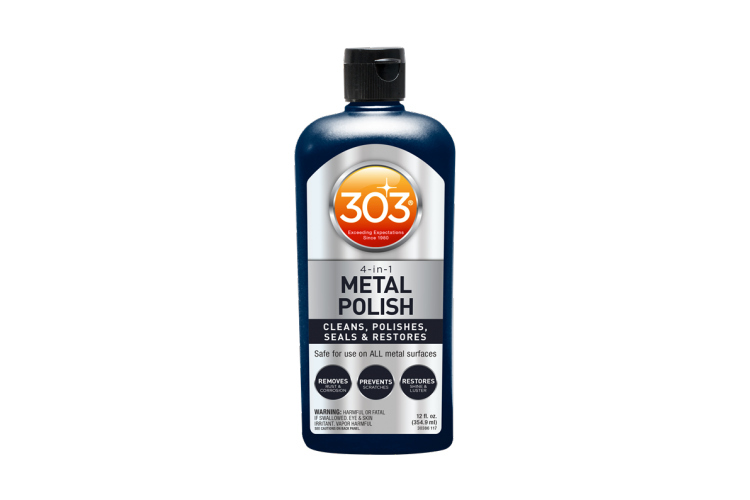 Rated 5 out of 5 by atariguy39 from Makes easy work of polishing metal Received a free bottle to test and so far I have used it to remove rust spots off of a chrome shower curtain rod and also to brighten up some brass. Worked pretty quickly on the brass without really scrubbing. Just a few wipes back and forth and the tarnish came right off. The curtain rod took a bit more scrubbing but it was not excessive or lengthy. Within 10 minutes I had all the small rust spots off and it was looking as good as new. Once it warns up I will definitely use on the Harley's. Rated 5 out of 5 by Ghost from EZ to use! 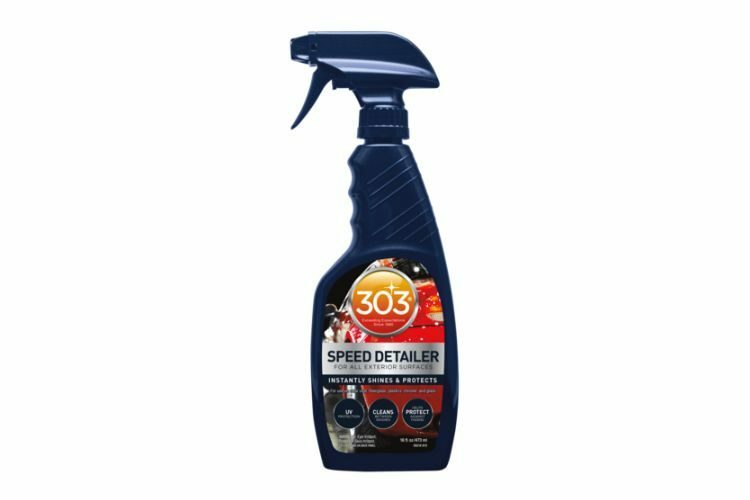 Received a sample in the mail - help out with a classic car collection so lots of rims & hubcaps to keep clean - tried this on a set of rims that showed some minor pitting & scratches - less than 10 minutes I had all 4 rims done & they turned out excellent! Rated 5 out of 5 by Cabodave from Super easy I used this on my gold wedding ring and the chrome on my Harley Davidson. It went on smoothly and did a great job on both items. Looking for more places to use it. Rated 5 out of 5 by Lotuseliseguy from Works Great! As stated........It is easy to use. Smooth to apply, wipes off easily and leaves a brilliant shine! This will be a staple in my toy cleaning bucket! Rated 5 out of 5 by gbk1 from Worked great on a silver ring Thats all I have had a chance to use it on so far. Being in MN My Bike is in storage for the winter so Im looking forward to trying it soon.